Many men with the Francisco de Ibarra expedition of 1565 had traveled together before. Under the leadership of the raven-haired, blue-eyed Ibarra who hailed from the Basque country of northeastern Spain, the men had come upon a gigantic city in the northern part of what is now the Mexican state of Chihuahua which was then the new Spanish province of Nueva Viscaya. The city contained adobe structures that were 4 stories high, a complex system of irrigation and wells, and a series of grand plazas and public spaces, all abandoned. Paint and decorations adorned some of the walls of the city, and many of the structures were completely intact, which indicated a recent desertion. Members of this 1565 expedition had wondered if this had been some remnant of what they had traveled so far to seek: the legendary 7 Cities of Gold that Spanish explorer Francisco Vázquez de Coronado had given up finding only 20 years before. The expedition to find the fabled cities was not funded by the Spanish government, nor was it sanctioned by the viceroy in Mexico City who discouraged such attempts to pursue an empty legend; it was financed by Francisco de Ibarra’s uncle, a very wealthy silver miner and conquistador named Diego de Ibarra who had made quite a name and life for himself in the few decades he had been in New Spain. The expedition’s men searched the city thoroughly and came up empty-handed, finding no valuables, and asked a local group of indigenous people they had encountered what had happened to the city and where the people went who once ruled it. The natives, a nomadic group who were possibly from the Suma or Jano tribes, told the blue-eyed stranger that the city had a war with the people to the west who were organized into small city states, called the Opata, just a few generations ago, and when the city was defeated, its inhabitants moved 6 days to the north. In spite of this oral history, modern archaeologists are unable to determine what exactly happened to cause the city to be abandoned. This ancient city visited by Ibarra is now called Paquimé or Casas Grandes and is located 60 miles south of the US border in a fertile valley of the Casas Grandes or San Miguel River in the northern part of the Mexican state of Chihuahua. The Archaeological Monuments Zone of Paquimé was created by Presidential Decree by Carlos Salinas on December 2, 1992 and was made a UNESCO World Heritage site in 1998. The city covers about 370 acres thus making it the largest archaeological zone that represents the peoples and cultures of the Chihuahua Desert. Paquimé contains the most monumental and complex architecture in all of northern Mexico. In addition to the mud-and-gravel brick 4-story apartments previously mentioned, at the site we find great plazas and public spaces, a complex irrigation and sewage system, ball courts done in the style of the Mesoamerican ball game, community fire pits, a solar observatory, elite burial mounds, and a curious complex in the center of the city where tropical birds from southern Mexico were bred for commercial and ritualistic purposes, the most important bird being the scarlet macaw. Paquimé also had a booming crafts industry as evidenced by the many workshops uncovered at the site. The city’s distinctive pottery as well as its shell jewelry were desired throughout Mexico and the American Southwest. While most of the Paquimé Casas Grandes site has not been excavated, over 2,000 rooms have been identified there leading scholars to believe that the city once supported several thousand people. When the surrounding area and small satellite towns are included, such as the nearby ruins of Cuarenta Casas, Paquimé may have had direct control over about 10,000 individuals at its height which was around the year 1400. By 1450 the city was mysteriously abandoned and its fall is almost as perplexing as its rise. We will now take a look at the early days of Paquimé and follow its evolution as a regional power. People first began to congregate into small villages in the Casas Grandes area of northern Chihuahua in about 1150 to 1200 AD at about the same time some of the great sites in the American Southwest, such as Chaco Canyon, were being abandoned. Archaeologists believe that some of the Chaco people may have made it down into the Paquimé area, which is a little over 600 miles away. The American Southwest in the 1100s to 1400s saw many civilizations and population centers rise and fall, and migrations were common. It is quite possible that Paquimé had influence from Chaco Canyon and the peoples of the Four Corners region, as evidenced in some of the construction methods used at the city, such as t-shaped doors and facades with porticos. It is undeniable, though, that the great cultural and economic influence on Paquimé during its heyday was coming from the civilizations in central Mexico, specifically from the Toltecs and Aztecs and from the civilization on the Pacific coast of Mexico encompassing the modern states of Nayarit and Sinaloa called Aztatlán, which is not to be confused with the mythical land of the Aztecs called “Aztlán.” It seems like the people of Aztatlán had the greatest influence at Paquimé as items found in the archaeological record point to this culture, including ceramics, copper bells and seashells which were turned into beads by artisans at Paquimé. Additionally, scholars theorize that cacao, a desired commodity throughout Mexico and the American Southwest from which chocolate is derived, came from the Aztatlán people. To show how wide this Chihuahuan city’s reach truly was, some of the tropical birds which were so important in commerce and ritual at Paquimé and whose feathers were desired by peoples as far away as modern-day Utah and Colorado, had come from such distant places as the heavily jungled areas of far southern Mexico, the traditional home of the Maya. In the mid-1300s until its abandonment a century later, we see Paquimé playing an influential role in the religion and social organization of the societies north of the modern-day Mexican border. Through Paquimé we see evidence of Mesoamerican ideas – those values attitudes and beliefs from central Mexico – flowing northward along with the highly sought-after trade goods. What archaeologists call the “Pueblo IV Period” in the American Southwest was characterized by droughts, migrations and radical social changes. During this time, murals at ancient pueblo sites became more complex and feature imagery and iconography not seen in the area before. A good example of this can be found at a site called Pottery Mound, dating to the mid-1300s, located about an hour southwest of modern-day Albuquerque, New Mexico, where intact paintings show somewhat realistic people holding Mexican tropical birds. Public buildings and open spaces changed in accordance with the southern influence, too. Kivas in the pueblos were replaced by larger Mexican-style plazas. Also during the height of Paquimé, ritual feasting started to become more widespread throughout the pueblo areas and rock art and ceramics began to depict masked katsina and warfare imagery. It was at this time when clown and medicine societies began to emerge in the pueblos. Some archaeologists go so far as to theorize that an entire religious and social complex was imported by the pueblos from Paquimé and adapted to local needs. An interesting case study of Paquimé’s religious influence over the American Southwest can be explored by looking at two gods who are nearly identical found both in central Mexico and the American Southwest. Xochipilli, also known as “The Flower Prince” was found in central and southern Mexico, and was very similar to what has been termed the “Sun Youth” of the Rio Grande and Colorado River pueblos. Both gods are associated with the sun and are often depicted as wearing the headdress of a scarlet macaw. Both gods greet the rising sun with a flute and are associated with flowers, butterflies, youth, art, sensuality, game playing and fertility. Xochipilli is also associated with provisions, generation and the growth of corn. He is the companion to the Corn Maiden. The Sun Youth of the Pueblos brings the Corn Maiden to the fields and is associated with the rituals having to do with the growth and harvest of corn. Both the Mesoamerican god and the old pueblo god are associated with ritual feasting, the clown societies, political organization and curing illnesses. Archaeologists conclude that through Paquimé, the Xochipilli god idea found its way to the Southwestern pueblos and was slightly changed to fit local needs. There are many other examples of such similarities. Please look at the reference section at our web site Mexico Unexplained dot com for more information about ideological links between central Mexico and the American SW through Paquimé. By the early 1400s, possible political and social changes in central Mexico may have put a strain on Paquimé and lessened its influence in the north which could have led to the eventual collapse of the socio-political structure in the city. At one point in the 1300s the city was burned and rebuilt. We see from elite burial mounds that there was a great deal of social stratification in the city. Did Paquimé fall from internal social pressures? Perhaps as is theorized with regard to other cultures in the area – the Mimbres, the Hohokam and Chaco Canyon – living in a fragile and uncertain desert environment proved too much for a growing population and the people just left as life became more difficult in a large urban center. It’s unclear whether or not the city was abandoned suddenly or over time. As with many romantically-termed “lost cities” and “vanished civilizations” we are left wondering where the people of Paquimé went. Many theories exist to try to explain where the city’s former inhabitants ended up. As previously mentioned, the indigenous people living in the area surrounding the Paquimé ruins who first encountered the Spanish in the mid-1500s said that the people of the old city were driven 6 days north by warfare with the Opata which would put them in the area of the Rio Grande pueblos. There are no signs of warfare at the site, however, that would indicate a take-down by other local groups. Some archaeologists believe that the Opata, with their complex political organization of “statelets” were the descendants of the Paquimé people. Still others believe the city’s inhabitants headed south toward the more complex civilizations of central Mexico and became the Tarahumara and Yaqui people along the way. Of course a good “lost civilization” story would not be complete without an otherworldly connection. One fringe theory supports the idea that the people of Paquimé were taken off world because they had in their possession and held in high esteem a 5,000-pound meteorite which was found by archaeologists in the ‘30s and was swiftly taken away to the Smithsonian in Washington DC. 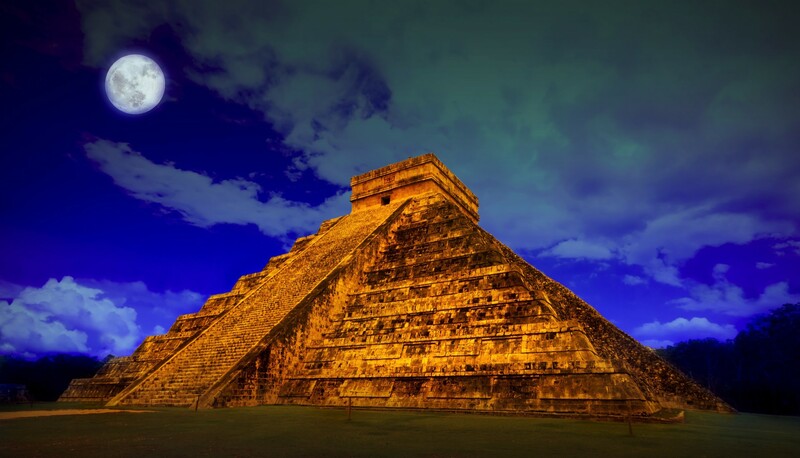 As Mexican archaeology tends to focus on the larger and more complex ruins of the Maya, Aztecs & their predecessors, very little money is left in government archaeology budgets for further study of the problem of what exactly happened to Paquimé. For now, it will remain a mystery.